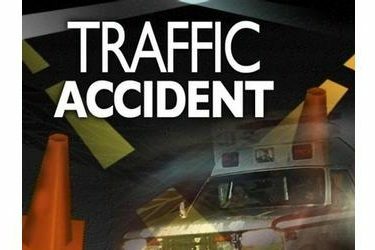 The Oklahoma Highway Patrol reported a personal injury collision occurred about 1:45 p.m. Monday at County Road Peninsula Drive and US 64, about 3.4 miles west of Westport, OK in Pawnee County. The patrol said the accident involved a 2007 Ford Escape driven by Makayla Rae Clackler (SIC), 21, of Jennings, OK. Clackler was admitted in stable condition with trunk internal injuries. A passenger in Clackler’s vehicle, Crystal Fawn Clackler, 20, of Tulsa, OK was transported by EMSA to St. Johns in Tulsa, where she was treated and released. A second passenger in Clackler’s vehicle, a 7 day old male whose name has been withheld, of Tulsa, OK was transported by EMSA to St. Johns of Tulsa, where he was treated and released. The second vehicle involved was a 2004 Toyota Camry driven by Melissa Jean Barker, 55, of Tulsa, OK. Barker was transported by Mannford EMS to Hillcrest in Tulsa, where he was treated and released. A passenger in Barker’s vehicle, Ronald Lee Nauss (SIC), 55, of Cleveland, OK was not injured. The Highway Patrol’s report stated Clackler’s vehicle was stopped at the westbound stop sign on County Road Peninsula and US64. Barker’s vehicle was southbound on US64. Clackler’s vehicle entered the intersection and was struck by Barker’s vehicle. Seatbelts were equipped in both vehicles and in use by all but one of the passengers, the 20 year old female. The condition of both drivers was apparently normal and the cause of the collision is attributed to failing to yield at a Stop Sign. Investigated by Trooper Regnier #219 of the Osage/Pawnee Detachment of Troop K. Assisted by LT Ludwyck #155, Trooper Armstrong #246, EMSA, Mannford EMS, Cleveland Fire Department, and Peninsula Fire Department.